Renegade Materials offers the following prepreg products for low dielectric aerospace applications. RM-5003 is a pure cyanate ester prepreg system developed for Shipboard, Aircraft and Missile Radome applications requiring excellent electrical properties. 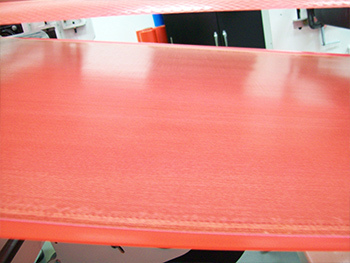 It processes using a straight-forward 350°F Cure with Free-Standing Post Cure. If you are looking for a lower cost option to Cyanate Ester, Renegade Materials offers RM-2014-LDk-TK. RM-2014-LDk-TK is a 300°F cure modified epoxy featuring cyanate ester-like dielectric and loss performance without the cost and processing challenges of cyanate ester systems. Renegade Material's low dielectric prepreg systems offer a unique balance of mechanical properties, low dielectric and loss, moisture resistance and versatile processing options. Renegade Materials manufactures all quartz and glass prepregs in a carbon-free environment to prevent contamination.